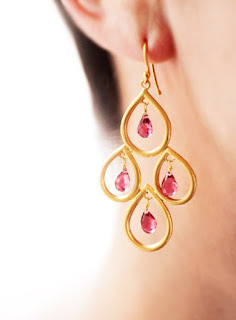 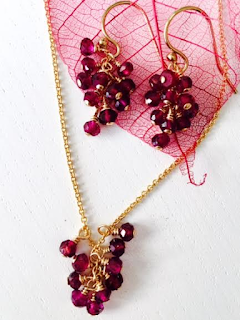 The Earring Collection: New Designs - Glitter this Christmas! 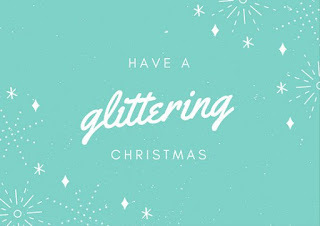 New Designs - Glitter this Christmas! 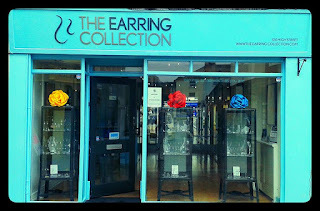 It is an exciting time here at The Earring Collection as we begin the countdown to Christmas. 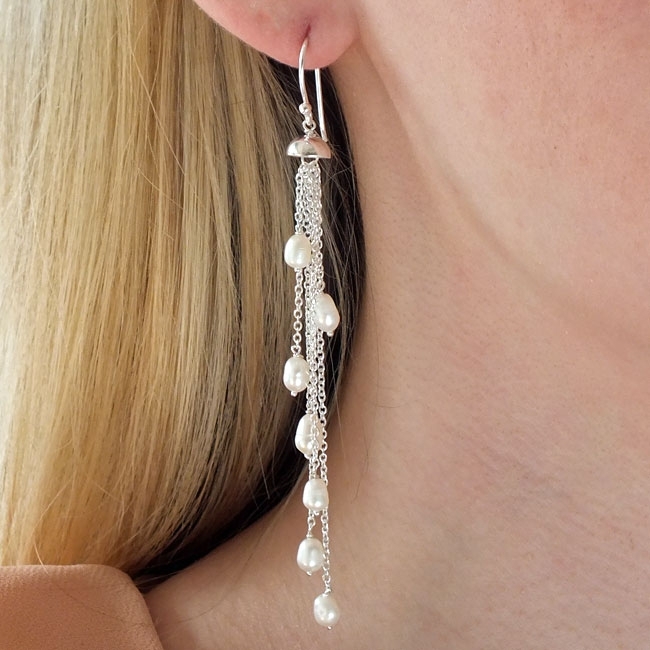 With lots of new designs now available, you will be spoilt for choice when you visit us. 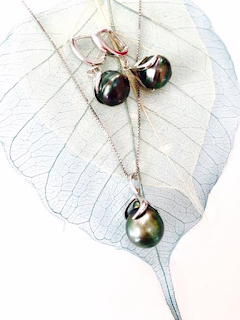 From show-stopping gemstone earrings to stunning fresh water pearl necklaces, our jewellery is unique and beautifully made. Start a Wish List!....the person that is being bought for comes into the shop and picks their favourite piece/s. 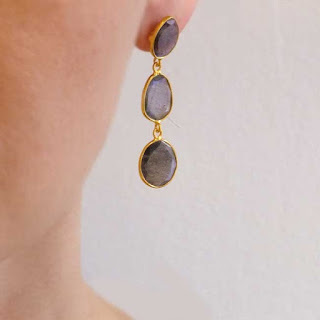 We photograph them, upload them to an online album and then we can show these to the people that want to treat you, so they will definitely buy you jewellery you will love. So whether you are looking to buy the perfect gift for someone or looking to treat yourself, we have designs to suit all tastes. 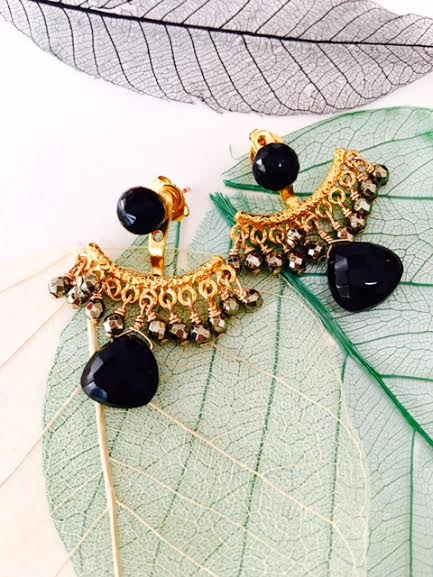 See me - Love me - Buy me! 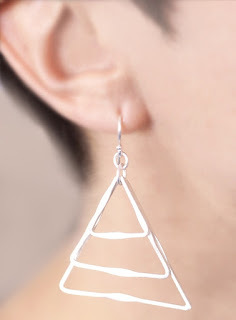 'Silver triangles' Brushed sterling silver earrings £70. 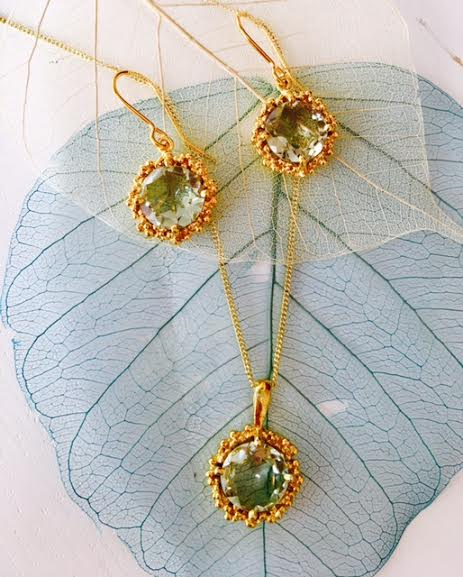 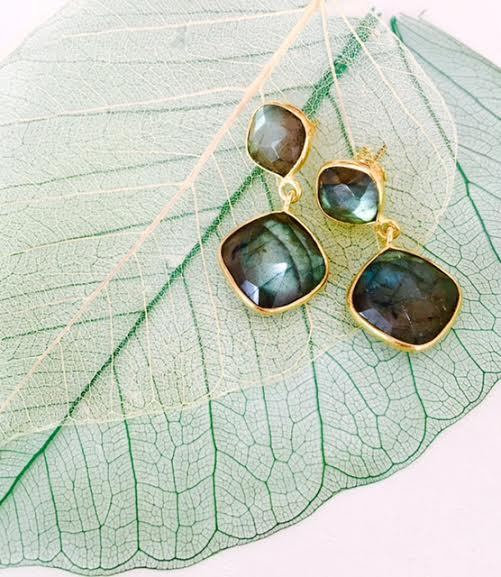 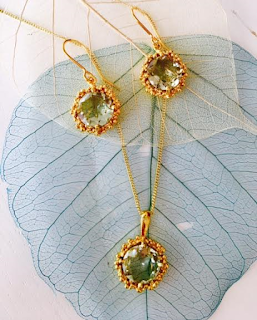 'Northern Lights' Faceted labradorite and 22ct gold vermeil triple drop earrings. Gold vermeil and Labradorite drop earrings £72. Our boutique shop in located at 120 High Street, Cowes.